Helen Riess: Seven Keys to Increase Empathy Listen here! October 23, 2018 – Dr. Riess spoke at the Thorne Sparkman lecture at Perelman School of Medicine in Pennsylvania! Dr. Riess talking with MedPEP on the topic “Loosening Burnout’s Grip with Empathic Care”. Listen here! June 14, 2018 – Empathetics was thrilled to be at last night’s Gold Foundation for humanism in medicines’s 30 year Anniversary honoring the late Dr. Arnold Gold, Mr. Alan Alda, and Dr Darrell Kirsch! 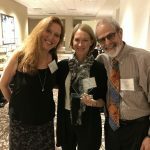 May 22, 2018 – Dr. Riess receives an award at the Arnold P. Gold Foundation for Humanism’s Research Symposium: The Richard Frankel Award. They show major support of research on the humanizing the patient-physician relationship, patient and physician wellness, empathy, and medical education. 2/20/2019: Portland, OR – Powell’s Books 2/20/2019 7:30PM Details..
3/21/2019: San Francisco, CA – Book Passage 6:00PM Details..
October 24, 2017: Dr. Riess will be the keynote speaker at the CENTILE Conference giving a talk called “Why we need empathy to be compassionate”. The conference is the Center for innovation, Leadership and Education at Georgetown University. September 7, 2017: Dr. Riess is the keynote speaker at the Hohenegg Psychotherapy Conference in Zurich Switzerland. June 18, 2016: Dr. Helen Riess co-presented at the 2016 Cannes Lions International Festival of Creativity with filmmaker Jane Gauntlett. Their presentation “The Science and Art of Empathy”, will take place on the Health in Focus Stage. Cannes, France. October 21, 2016: Dr. Riess presented at the Medical and Scientific Foundation of New York. October 28-29, 2016: Dr. Riess presented 2 workshops at the Harvard Medical School Compassion in Practice Conference in Boston, MA. 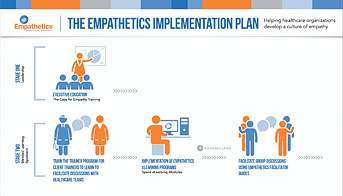 October 30-November 2, 2016: Empathetics attended the Planetree International Conference. Chicago, IL. November 17, 2016: Dr. Helen Riess presenting Empathy: How We Communicate and Enhance It in Clinical Practice at The American Association of Colleges of Osteopathic Medicine.